Four hours of lightning, rain and swirling winds. 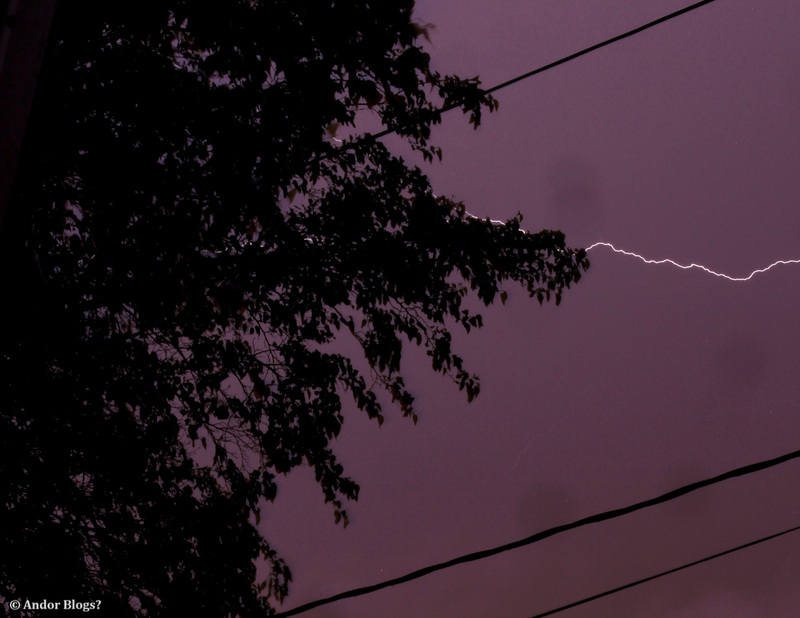 Both of My cameras snapping away the whole time and this is the only bolt they captured. Maybe next time there will be more success.